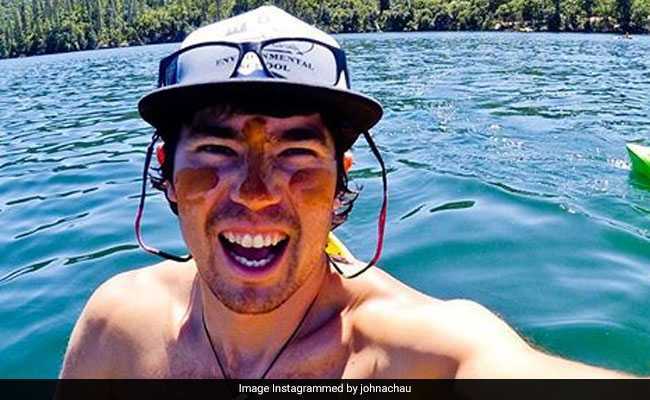 John Allen Chau died last week after making several attempts to reach the Sentinelese to preach Christianity -- knowing it was illegal to go within three miles (five kilometres) of the island. Officials -- who do not enforce their rule over North Sentinel island -- have not even tried to send police ashore to question the tribe who have been greeting outsiders with hostility for centuries. The American died last week after making several attempts to reach the Sentinelese to preach Christianity -- knowing it was illegal to go within three miles (five kilometres) of the island. Mr Kapoor once had contacts with the Onge, another Andamans tribe, adding: "It was only after I took off my clothes, except my underwear." The lack of knowledge of the Sentinelese, believed to be the last surviving descendants of the first humans to arrive in Asia -- and who 13th century adventurer Marco Polo called "brutish and savage" -- is the main handicap. "We have no clue about their communication systems, their history and culture, how can we go anywhere near them," said Mr Kapoor. Andaman Police are now wrestling with a double dilemma: how to answer the prayers of Chau's family and maintain the privacy around North Sentinel that is essential for the tribe's survival. And Sekhsaria warned authorities may now have to strengthen surveillance around North Sentinel to prevent a Chau copycat. Outsiders have had a rough reception when going to North Sentinel. Arrows were fired at a helicopter that checked on the tribe after the devastating 2004 tsunami. Two fishermen who strayed too close in 2006 were killed.